Give your crops the perfect amount of fertilizer with our versatile, easy-to-use fertilizer injectors. 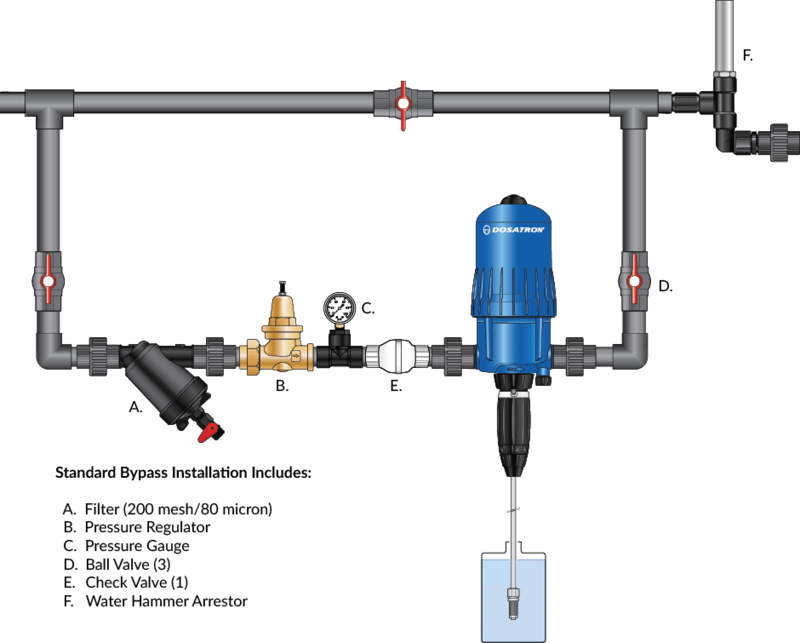 Dosatron fertilizer injectors can be used in a variety of installations and configurations. Mount them on booms or benches, or use them in conjunction with our portable 15-gallon DosaCart, 5-gallon Li’l Bud-D DosaCart, or the Eco-Cart for fertigation dosing on the go. 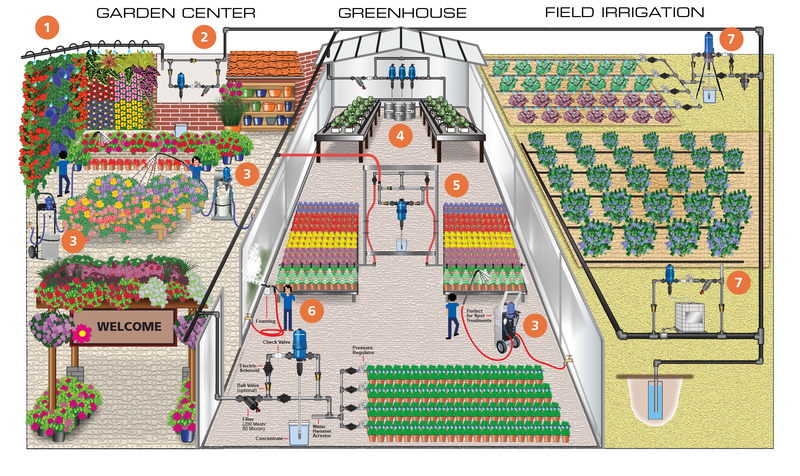 Increase your flow with parallel installations, or inject multiple nutrients with series installations. It’s all up to you! 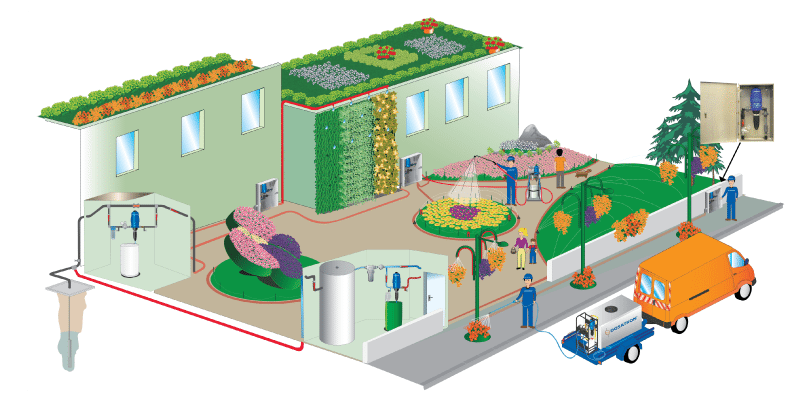 For beautiful, healthy plants and blooms, professional growers have been turning to Dosatron for trusted experience. With Dosatron, your plants get the right amount of nutrients every time. Our versatile fertilizer injectors are the industry gold-standard for quality and reliability. Learn more by watching our Videos, refer to our Literature, and check out the Mini Maintenance Kits and Seal Kits. 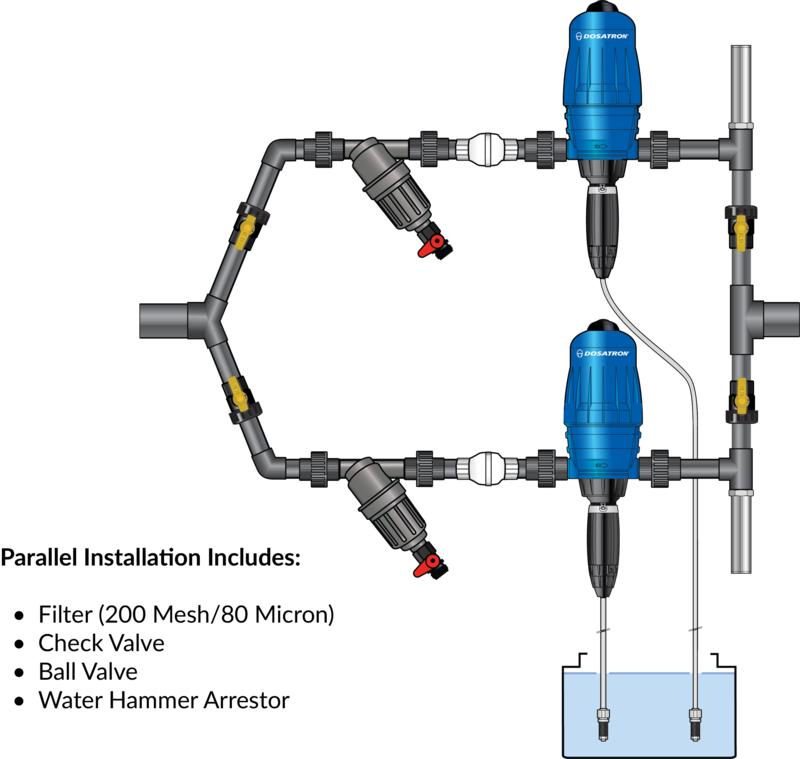 What do Dosatron Fertilizer Injectors Accurately inject?
. . . is the perfect addition to the Dosatron line of fertilizer injectors. 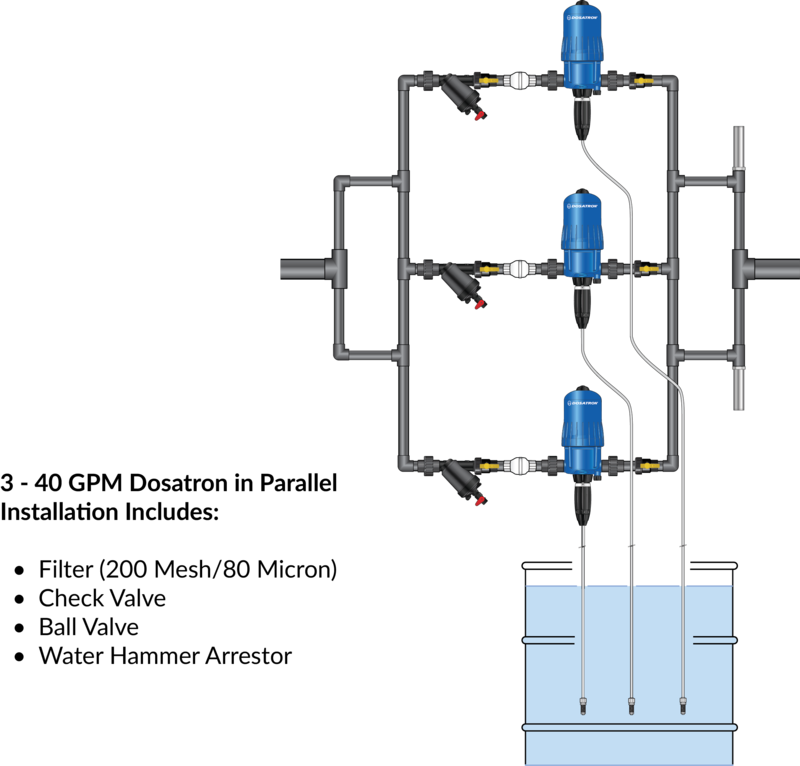 This economy 11 GPM injector is preset at a fixed rate of 1:100 (1%) and pairs nicely with the Eco-Cart. The Mini Maintenance Kits are the perfect, economical solution for Dosatron users and growers who perform maintenance on a regular schedule. They can be used as often as necessary to ensure that your Dosatron injects accurately and runs smoothly. The Mini Maintenance Kits are available for the 11, 14, 20, 40, and 100 GPM injectors.